There are many ways to go green and things you can do to make more environmentally friendly choices in your everyday life. In this section, you will find a variety of green tips you can easily use to help you get started. With the rapid growth of the green movement, many people are looking for ways to preserve the earth's natural resources and stop global warming. At times it seems like an overwhelming challenge. So where can you start? In the areas of your life where you can most easily make changes. For instance, starting to buy organic produce or making an effort to recycle more frequently. The key is to do what you can. Start small, perhaps concentrating on one area such as creating a more energy efficient home or learning about organic gardening, etc. Let the process evolve naturally as your awareness of the many ways to go green grows, and as you become more involved with making the change to a more natural lifestyle. Whatever your ultimate green dream may be, whether it is to build an eco friendly house or live in an ecovillage, to create a planet free from pollution, to preserve our rain forests, develop a wildlife sanctuary, or to create more sustainable ways of doing business, keep your ideal in your mind as you go along. Use it to inspire you. Think about how this truly is a learning experience and a journey for all of us, as we turn the mistakes of the past around and undo the damage that has been done to the planet and the situation of global warming that we face today. The continued sustainability of the earth is something that affects all of us. Everything we do has an impact in some way, and we can all be a part of the solution to create a greener, more earth-friendly and organic world. Going Green at Home -- Learn how to create a home that is more environmentally friendly. Conserve energy and save money, too. Read more here. Organic Gardening -- Learn ways to go green and be more ecologically responsible when you spend time outside. Get started with our organic gardening tips. Click here to find out more. Green Kitchen Ideas -- Creating an eco friendly kitchen is an easy way to start going green and make the switch to a more organic lifestyle. Click here for more information. 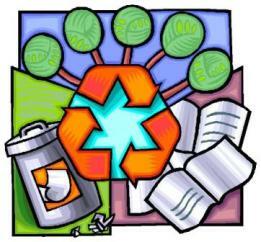 Green Business -- Do you wish your company was more eco conscious? Learn ways to bring sustainability into the workplace. Read about it here. Don't forget that kids can go green, too! Find fun ways to entertain your children while still being earth friendly. Please see Eco-Friendly crafts at kids-going-green.com. Check out the for even more green resources across the net. Do you have a favorite green tip or earthfriendly idea that you would like to share? Send it in and we will try to include it on our site. Click here to return from Ways to Go Green to Green-Organic-World.com's Home Page.